As I’ve mentioned, I wasn’t much of a fan of baking. Somewhere along the way, after a few years of marriage, that began to change. I began baking bread with a bread machine, with acceptable results. I learned to play with recipes for cookies to create the flavours I wanted. I tackled pies. Those still need work. I’ve graduated from the bread machine to my KitchenAid, or even hand kneading. There is something so satisfying about working with yeast doughs. I came across a recipe for “hamburger/bulky rolls” via my Pinterest “Food I Want To Try” board. While I love crusty breads, sometimes I want a soft, slightly sweet bun. These, from Bakeaholic Mama, looked perfect. Because I always play, and because I have some lovely, locally milled rye flour, my version is about 1/3 rye. The resulting rolls were delicious with our dinner of oven fried chicken, homemade dill pickles, broccoli carrot slaw and a chocolate sheet cake with a rich milk chocolate ganache glaze. Soft, fluffy and just slightly sweet. In a sauce pan melt butter with milk, water, sugar and salt. Remove from heat and allow to cool slightly (to about 110F). In the bowl of a stand mixer add the rye flour and the wet ingredients, along with the yeast. With the dough hook begin adding the all purpose flour, a cup at a time, holding back a cup. 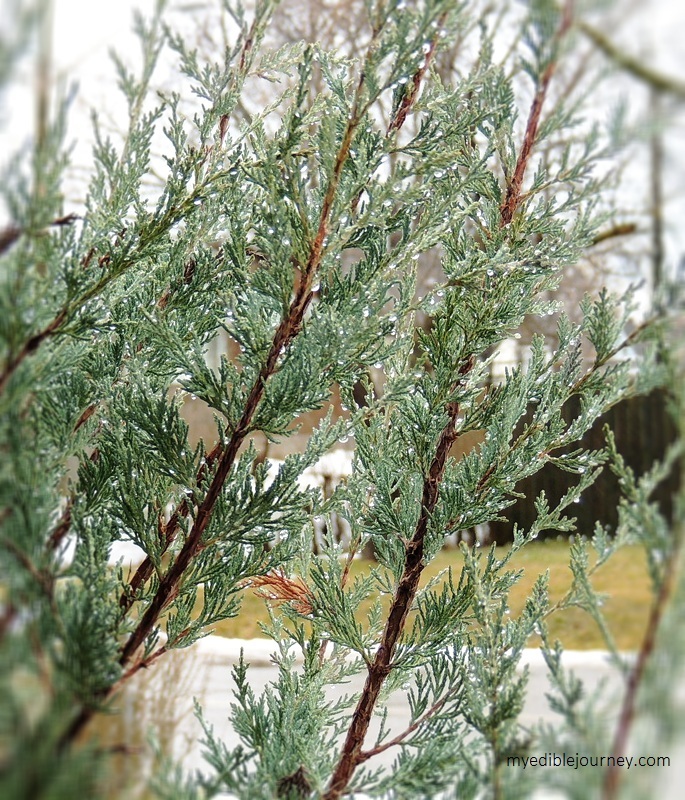 Check the texture. The dough shouldn’t be too sticky. Add the remaining flour, about a quarter cup at a time, allowing it to mix in well after each addition. Knead the dough in the mixer or by hand until smooth and elastic. Turn the dough into an oiled bowl. Cover with a dish towel and set it aside in a warm place to rise, about an hour, until it has doubled in size. 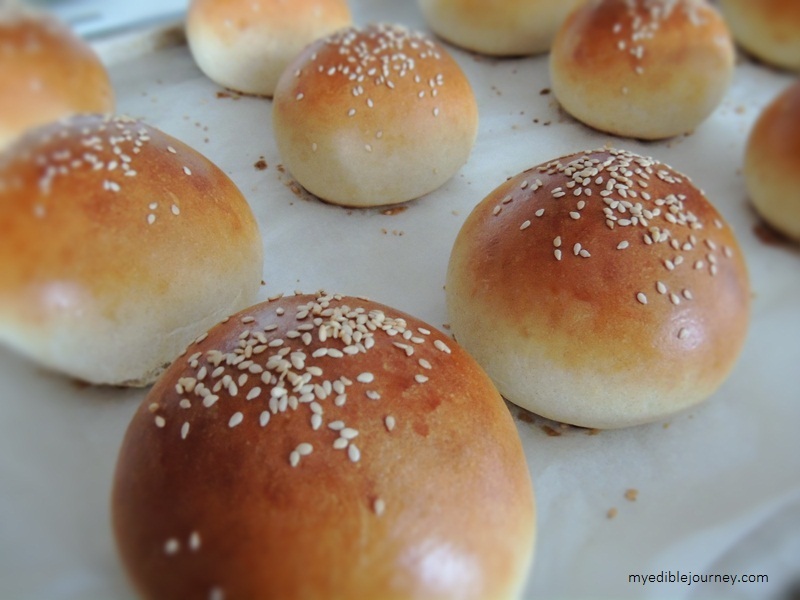 Brush each bun with egg wash, sprinkle with sesame seeds if desired. Bake at 400 degrees for 15 minutes, or until golden brown. More baking. My darling 5 year old enjoys the exploits of Amelia Bedelia, and checked another book from the library. Amelia Bedelia Bakes Off. 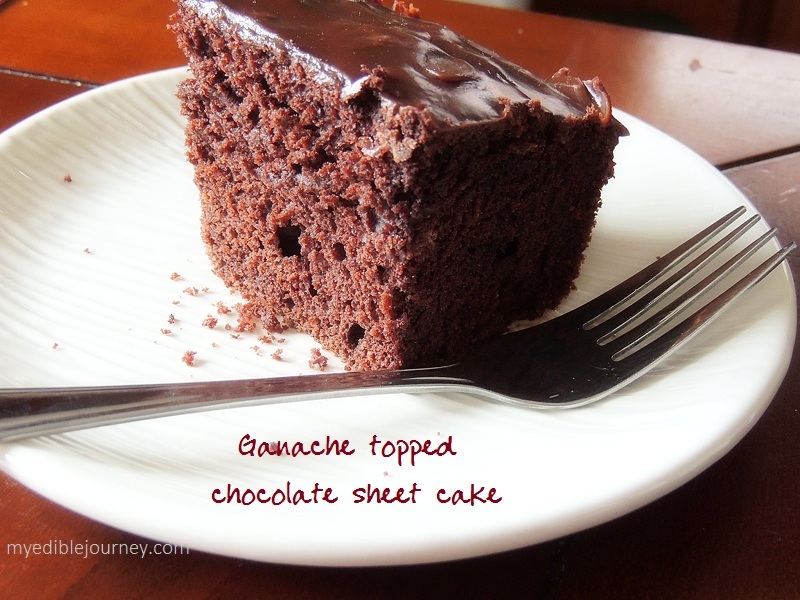 At the end of the story is a recipe for a basic chocolate sheet cake. I played a bit, and we’ve been enjoying it for dessert for the past couple of nights. Preheat oven to 350F. Sift the dry ingredients directly into an 8×11.5 ungreased pan. Stir in the remaining ingredients until smooth. Bake for 30-35 until a toothpick inserted in the centre comes out clean. Cool on a wire rack. For the ganache – heat 1C of heavy cream in a saucepan until steaming. Add 1C milk chocolate chips and 1/2C bittersweet chips and stir until smooth. Let it cool a bit until it begins to thicken, and then pour over the cooled cake. Leave it to set, or pop it into the fridge for an hour or so. I love a soft, slightly sweet roll! I’m fine with most kinds of baking, but breads intimidate me a little! You brought back memories of reading Amelia Bedelia books when I was little. Love them! Aww, I’m glad my post inspired happy memories. And please be encouraged that yeast dough can be very forgiving. So long as it rises, the results are almost always edible.